AVON — Miss DiPasquale or “Miss D,” as the children call her, will be retiring after more than 40 years of work at St. Agnes School. 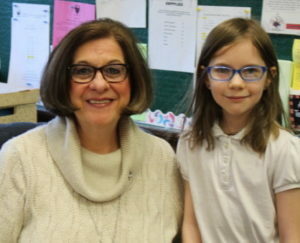 According to a press release from Cindy Zhe with St. Agnes School, Miss D started teaching fourth grade at St. Agnes School in September of 1976. While Miss D has spent most of her career teaching fourth grade, she has also taught combined grade classes, including a third fourth grade class and a fourth fifth grade class. Her favorite subjects to teach are Math, Social Studies , and Religion. Among the projects her class undertakes, is a living biography, where her students research a person from history and dress up as that person, presenting their lives to the rest of the class from their perspective. All are welcome to celebrate Miss D’s retirement on Sunday afternoon, July 16 from 1 to 4 p.m. at the Avon Commons Community Center, 597 Collins Street, Avon, NY 14414. If you are not able to attend cards, memories and messages of congratulations can be sent to St. Agnes School, 60 Park Place in Avon.